The Schumacher Library has received generous donations of materials belonging to individuals who have made significant contributions to the new economy movement. These incredible individuals have entrusted their personal libraries and, in some cases, their life's work to our collection. In accordance with our mission to steward the rich traditions of community economics and decentralism, the library continues to accept materials and collections with the express intent of cataloging them and making them accessible to a larger public. 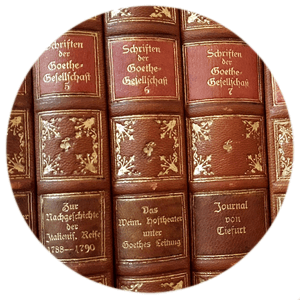 Includes the General Collection, E. F. Schumacher’s Library, and the Special Collections. Records can be sorted and viewed as a distinct collection, allowing researchers to discover what books influenced the birth of a movement. The personal library of C. George Benello is cataloged and shelved together as a collection (marked BENE). 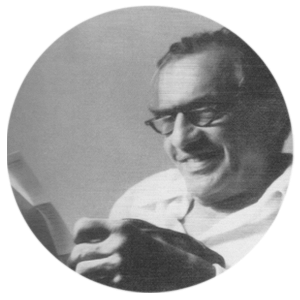 Benello was a professor of sociology at Cornell University and University of Massachusetts. 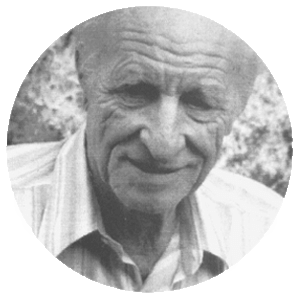 He was an advocate of worker cooperatives and democratic workplaces from the early 1960s until his death in 1987 and was one of the founding members of the Industrial Cooperatives Association (ICA), the Federation for Economic Democracy, and the journal Changing Work. This collection includes titles on worker ownership, sociology, and democratic theory. Journals and archival materials from this collection have not yet been cataloged but may be viewed at the Library. The personal library of Henry Geiger is cataloged and shelved together (marked MANAS). Geiger wrote, edited, and published MANAS Journal for 41 years. Each eight-page issue contained several short essays, crafted from a wide variety of sources, that reflected on the human condition. Such was Geiger's passion for anonymity that his name appeared in his weekly only once or twice a year, yet he composed almost every word. He died on February 15, 1989 at the age of 80. The collection is a strong representation of the liberal intellectual world of the 50s through the 80s. The personal library of Hazel Henderson, containing over 5,000 volumes, is located at her home in St. Augustine, FL and can be accessed through the Schumacher Library (marked HEN). 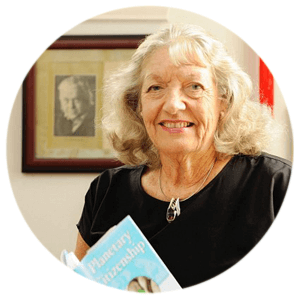 Born in 1933, Henderson is a world-renowned futurist, evolutionary economist, advocate for and consultant on equitable ecologically sustainable human development and socially responsible business and investment, and an author. Henderson, Robert Swann (who later founded the Schumacher Center) and Ian Baldwin (who later founded Chelsea Green Publishers) arranged Schumacher's first lecture tour in the USA in 1974. The collection covers a wide range of subjects including alternative energy, environment, sustainability, new economics, future studies, health, and consciousness. The personal collection of Lewis Hyde is cataloged and shelved together (marked HYDE). Hyde is a poet, essayist, translator, and cultural critic whose work focuses on the nature of imagination, creativity, and property. 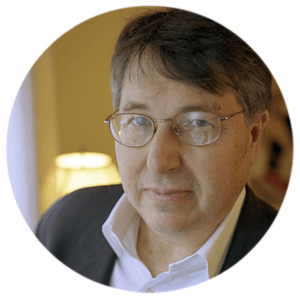 A MacArthur Fellow and former director of undergraduate creative writing at Harvard University, Hyde teaches during the fall semesters at Kenyon College, where he is the Richard L. Thomas Professor of Creative Writing. During the rest of the year he lives in Cambridge, Massachusetts, where he is an Associate of Harvard's Mahindra Humanities Center. His collection, primarily books bought while researching and writing Common as Air (2011), has a strong emphasis on the cultural and natural resources that we all own or share, also known as "the commons”. The personal library of Martha Shaw is cataloged and shelved together as a collection (marked SHAW). This collection reflects Martha’s deep belief in the connection between spiritual ideals, the land, and community. Born in 1928, Martha is an alternative living advocate, artist, and has lived in the Berkshires since 1964. She has grown her own food, made her own clothes by hand, and lived a life of self-sufficiency. Martha has been a long-time dedicated friend of the Schumacher Center and its programs. 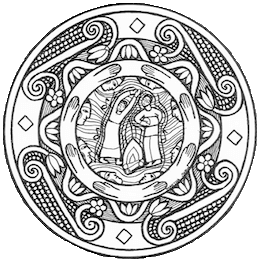 She created the illustration for the Annual E. F. Schumacher Lecture pamphlets as well as designed Deli Dollars, the precursor to BerkShares Local Currency. Although not yet fully cataloged, her archival collection, containing many rare and out of print magazines and pamphlets from the 1960s and onward, may be viewed at the Library. 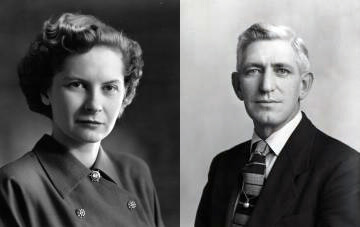 The personal libraries of Mary Margaret Kellogg (1917-2011) and Charles Flint Kellogg (1909–1980) can be found at the Schumacher Center Library. Mary Margaret lived in Carlisle, PA, from 1948 to 1996 and spent her summers in Great Barrington and South Egremont. She held the position of dean of women at Dickinson College, where her husband, Charles Flint, was the chairman of the history department from 1946 to 1975. Charles Flint's 1963 dissertation and his 1967 book focused on the National Association for the Advancement of Colored People (NAACP). He helped to establish Black studies courses at Dickinson and taught courses on Black history. His correspondence and research materials can be found at Dickinson College Archives & Special Collections. Mary Margaret served for many years on the Board of Overseers of Bard College at Simon's Rock. After her husband’s death, Mary Margaret focused her work on preserving the memory of W. E. B. Du Bois, who was born in Great Barrington, by paying for signage marking home sites and endowing a lecture series at Simon's Rock in his memory. The Kellogg's 1744 historic summer home, April Hill, and the surrounding 99+ acres on Undermountain Road in South Egremont were donated to the Appalachian Trail Conservancy in 2004 and was known as The Kellogg Conservation Center. Today, it is owned by Greenagers, a nonprofit whose mission is to connect young people with their environment and community, and has been renamed the April Hill Conservation and Education Center. The personal library of Peter Gillingham can be found in the Library's general collection. Gillingham was the director of Intermediate Technology in Menlo Park, CA, and a partner of E. F. Schumacher in his work on appropriate technology. Although not yet fully cataloged, his archival collection, including articles, research files, and his unpublished manuscripts, may be viewed at the Library. The archival collection of Ralph Borsodi (1886-1977) includes articles, research files, and his previously unpublished manuscripts. He was an economist, author, and founder of the School of Living in Rockland County, New York in 1934. 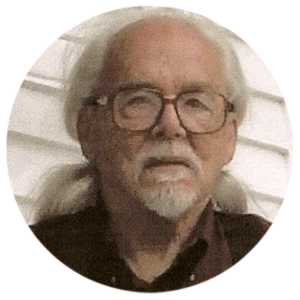 Borsodi and Robert Swann were two of the most influential intellectual leaders of the community land trust movement in the United States. Together, they established the International Independence Institute in 1967 to provide training and technical assistance for people who were interested in promoting rural development. The materials in this collection were acquired from the files of Borsodi’s former editor Lydia Ratcliff. Although not yet fully cataloged, the archival collection may be viewed at the Library. The personal library of educator Richard Bliss is cataloged and shelved together as a collection (marked BLISS). 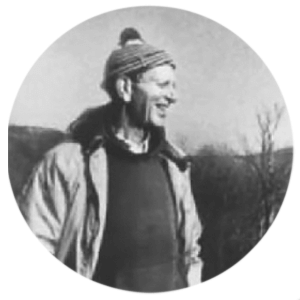 Bliss was the founder and director of East Hill School in Andover, VT, which ran from 1958 to 1989 on East Hill Farm, his 300 acre farm. East Hill School had inter-aged, mixed-ability class groups usually containing children from the ages of six to ten with a curriculum based on lecture-stories, crafts, and music intermixed with farm chores and lessons in land stewardship. He was also a sociology teacher at Bennett College. This collection includes many titles from the Catholic Workers movement and the distributionist tradition as well as literature on education, art, and farming. The personal library of Robert Swann (1918-2003) can be found in the Library's general collection. 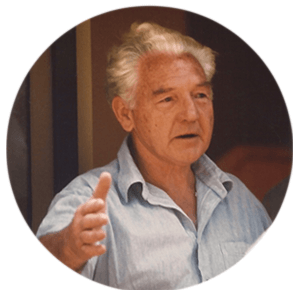 Swann was the founder of the E. F. Schumacher Society in 1980. Before founding the Society, he launched the Community Investment Fund in 1978, one of the first investment initiatives with socially responsible criteria. His 1960s civil rights work led to an effort to secure land for African-American farmers. With Slater King he founded New Communities in Albany, Georgia, using documents modeled on those of the Jewish National Fund. 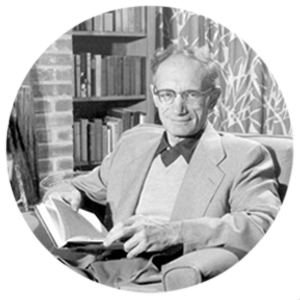 As founder of the Institute for Community Economics, Swann helped other groups around the country form similar community land trusts, which earned him the title of father of the American land reform movement. Although not yet fully cataloged, the archival collection may be viewed at the Library. The personal library of Robyn Van En (1948-1997) is cataloged and shelved together as a collection (marked RVE). Robyn was the co-founder of Indian Line Farm in 1985, the first community supported farm in the United States, and founder of CSA North America (CSANA) in 1992, a nonprofit clearinghouse to support CSA development. This collection has a strong emphasis on organic farming and gardening. Copies of her published pamphlet "Basic Formula to Create Community Supported Agriculture" can be viewed in the collection. The personal library of William Ellis (1920-2015), a science adviser on the state, national, and international level as well as a trained physicist, is cataloged and shelved together as a collection (marked TRANET). This collection has a strong emphasis on appropriate technology and international development issues. Copies of his bi-monthly newsletter-directory TRANET or "Transnational Network for Appropriate Technology", which ran from 1976 to 1999 out of Rangeley, Maine, can be viewed at the Library's reading room. TRANET was a compendium of abstracts from over 1000 publications, papers, projects, and people about local developments in technology. His talk, A Retrospect of TRANET's First Twenty Years, was given at the eighteenth Annual E. F. Schumacher Lectures.